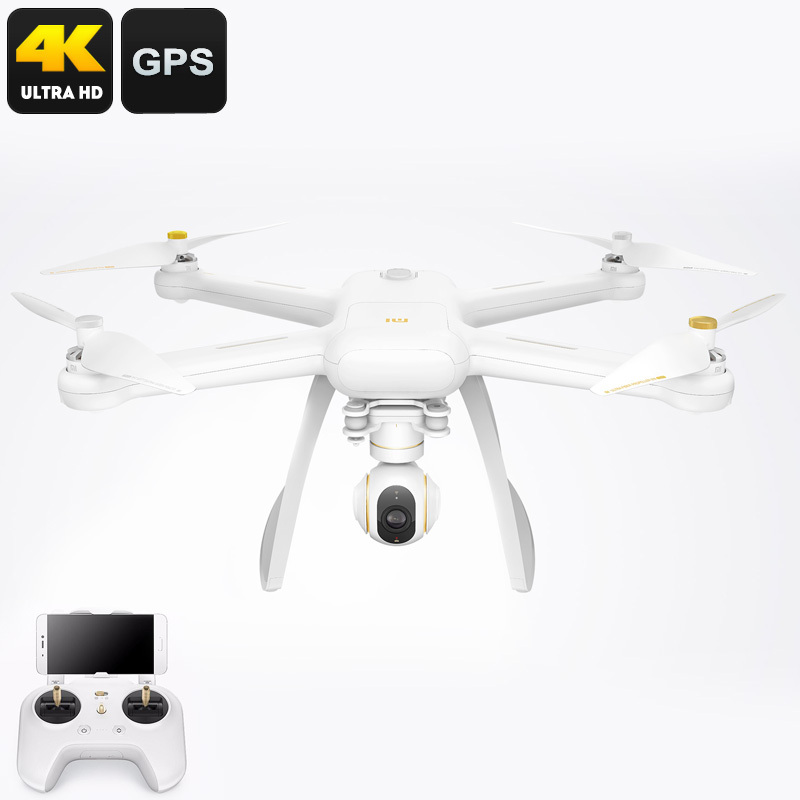 Successfully Added Xiaomi Mi Drone - 4K Camera, GPS, 3 Axis Gimbal, ARA-D Propeller, 18M/s Top Speed, 500m Range, 27 Minutes Flight Time to your Shopping Cart. The Mi Quadcopter Drone with 4K camera from Xiaomi is so simple to fly that a novice will be able to control it. This UAV drone with its pinpoint GPS + GLONASS tracking system lets you generate routes with automated takeoff and landing points so you can focus on capturing breathtaking shots with the 4K camera. With the Xiaomi camera drone, all you need to do is setup waypoints on the application map and the drone will fly itself to the designated location. Alternatively, center the drone to fly at a specific radius and high around a pre-chosen point letting you film it from different angles. If that wasn't enough the drone can be set to follow the signal of you Smartphone so it will fly after you, perfect for adventure sports lovers. There is an advanced and beginner flight mode and with built in safety features and easy to use controls everyone can take to the skies with the Xiaomi Mi drone. This quadcopter drone with camera can take incredible high-definition images and transmit them in real time. With 3 axis stabilization the 4K camera includes a quad core processor with advanced optical flow that compensates for additional movements and stabilizes up to 2000 vibrations a second. The camera's gimbal can rotate through three axis with a 130 degrees pitch, 90-degree roll and 155-degree yaw that lets you capture stunning video footage at 3840×2160p resolutions with 30 fps. Housing an impressive 5100mAh removable battery pack the drone can fly for up to 27 minutes on a full charge. The ARA-D airfoil propellers accelerate the drone to speeds reaching 18 meters per second and it is able to climb at 6m/s. The mans the drone can cover a huge area letting you film great videos and capture high definition aerial photographs. Safety features ensure the drone will return when a low battery is detected or if the signal is lost. Xiaomi Mi Done 4K comes with 12 months warranty, brought to you by the leader in electronic devices as well as wholesale quadcopters and drones..
From self-stabilizing angle: Pitch -120 to 35 degrees, Roll -35 to 35 degrees, Position -65 to 65 degrees.